First of all, let me give my sincerest apologies for being M.I.A. from the blog for the past week. You see before we left for vacation I had grand visions of a week's worth of pre-scheduled content and posting updates from my trip.. and then we landed in Hawaii. Something about that place just invites you to unplug, spend time in nature and forget about anything you had "planned". I'm so sorry for leaving you post-less, but I promise I'll make up for it with some fun travel tips! I'm coming back from my vacation re-energized yet so relaxed, a little bit tanner, and (spoiler alert!) engaged-- but more on that later! Before my trip I searched long & hard for some cool travel recs in my guide book, Pinterest & memories of previous trips. 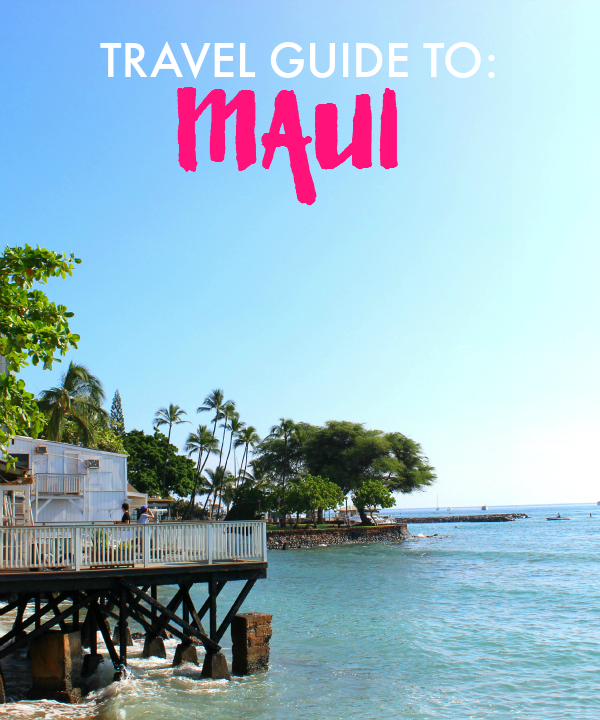 I decided to give you a few of my favorite tips to fully enjoy all the islands have to offer. I'm starting with our first Hawaiian island, Maui. There's probably no better place to start than a few tips for what to pack & how to beat jet lag on the journey over. Even though it was October it was extremely warm (in the high 80's/low 90's), so I regret not bringing more skirts & shorts. I tend to pack a really colorful suitcase when I'm going somewhere tropical. Rashguard - they're packed with sun protection, so they're perfect for snorkeling or surfing. Haviana Flip Flops- You don't have to worry about getting these sandy or rinsing them off at the beach & they come in fun bright colors. Sun Bum Sunscreen- This stuff was a lifesaver in Hawaii. By some miracle I didn't get sunburned through the snorkeling, stand up paddleboarding and beach-ing it; and it smells amazing! Hair Ties- These tie dye hair ties from 6D hairties doubled as fashion in function in hot weather. 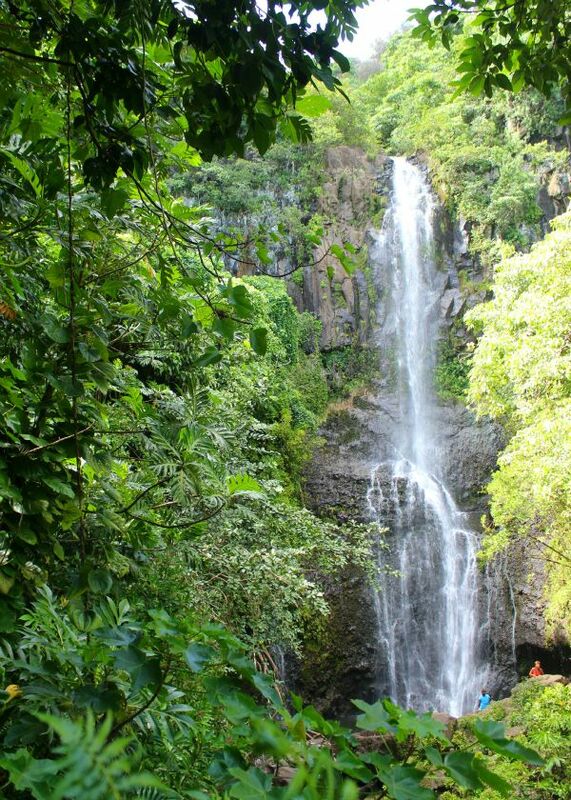 Now, I'll share a few of my Maui must-see's for anyone traveling to the island! Best Places to Stay: We stayed in Lahaina in a condo rental which was nice because we were walking distance to tons of shops & restaurants. 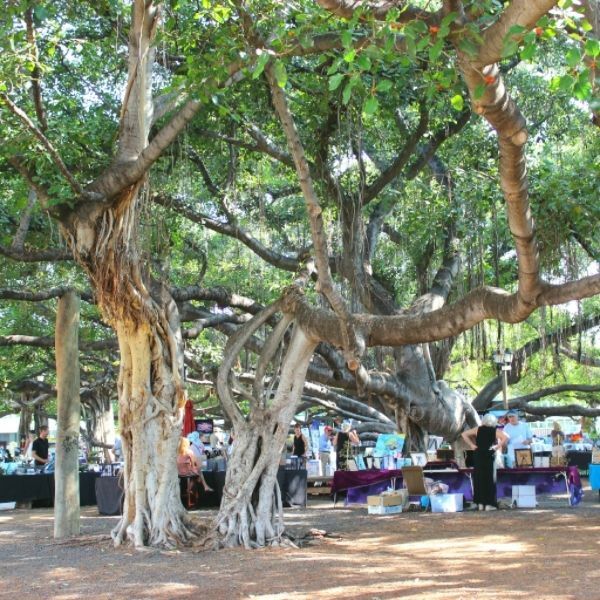 This banyan tree, pictured above, is the center of the historic whaling town. 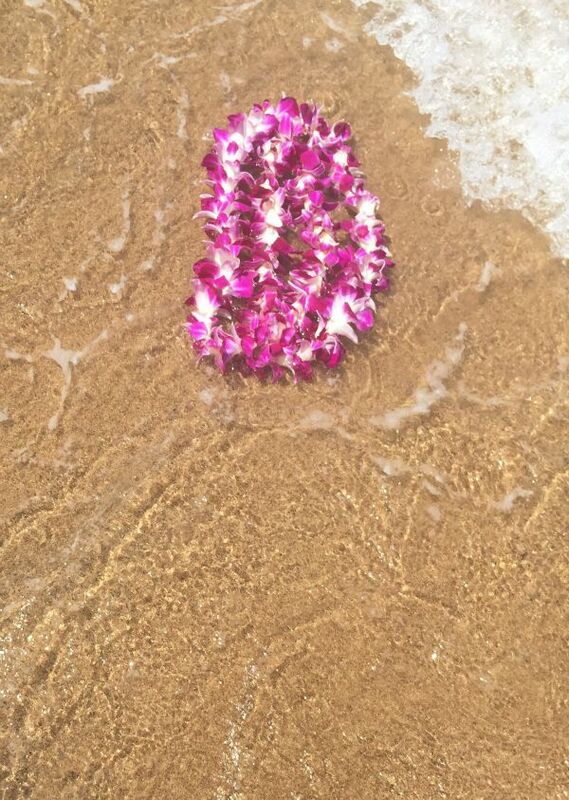 If you're looking for a beach front area try neighboring K'aanapali or Kihei. 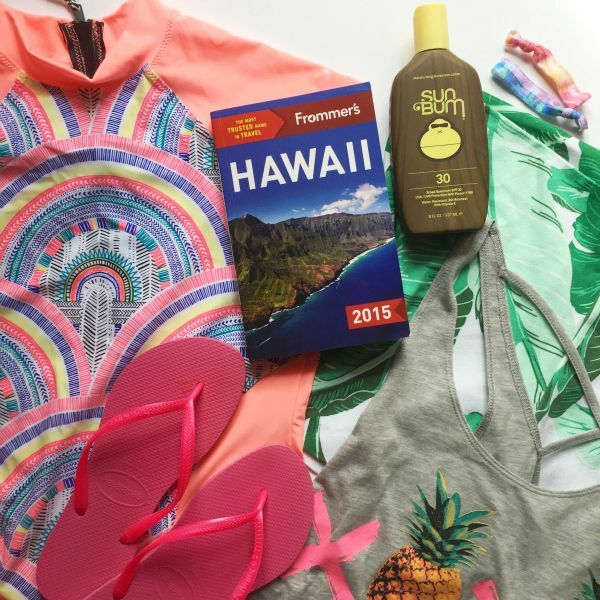 Best Shopping Area: Whaler's Village in K'aanapali is filled with upscale shopping to find the perfect souvenirs or Hawaiian print dresses. There's also iconic Hawaiian restaurants like Duke's, Hula Grill & Leilani's located there if you want to watch the sunset on the beach. 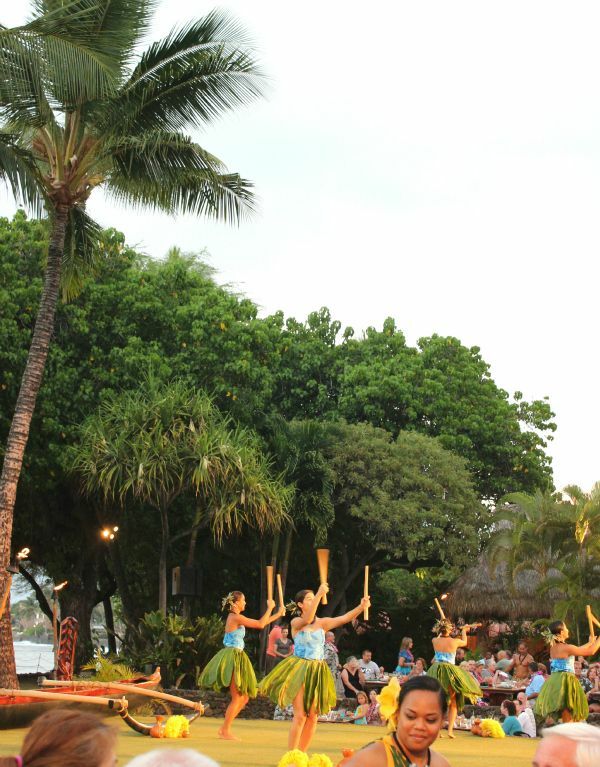 Best Luau: This was my second time at Old Lahaina Luau and for this trip we spent our first night there. It's a great chance to sample Hawaiian fare & the tropical drinks, leis & beautiful hula dancing don't hurt either! 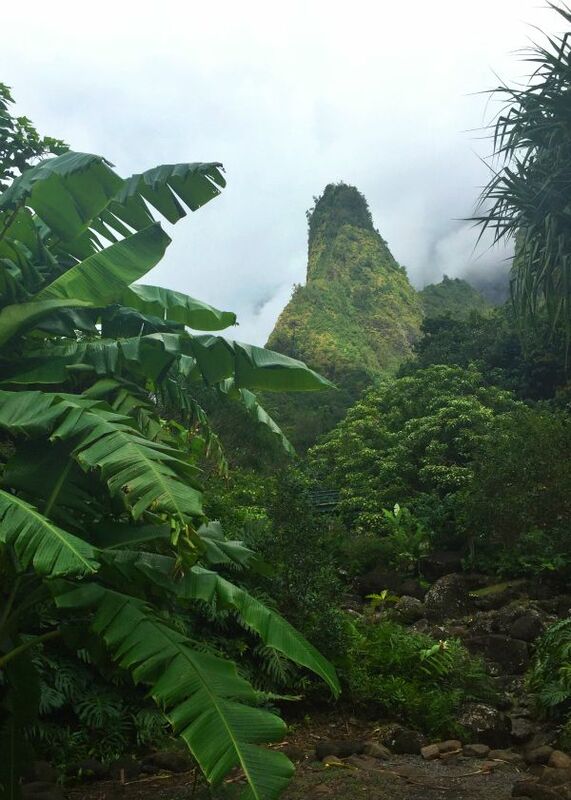 Best Hike: The Iao Valley offers easy paved trail hikes that reward with sweeping views of the Iao Needle. It's surrounded by lush greenery, guava & tropical plants. It's always misty and magical- a definite must see! Best Shave Ice: We tried our fare share of shave ice on this trip and our favorite was at Ululani's. 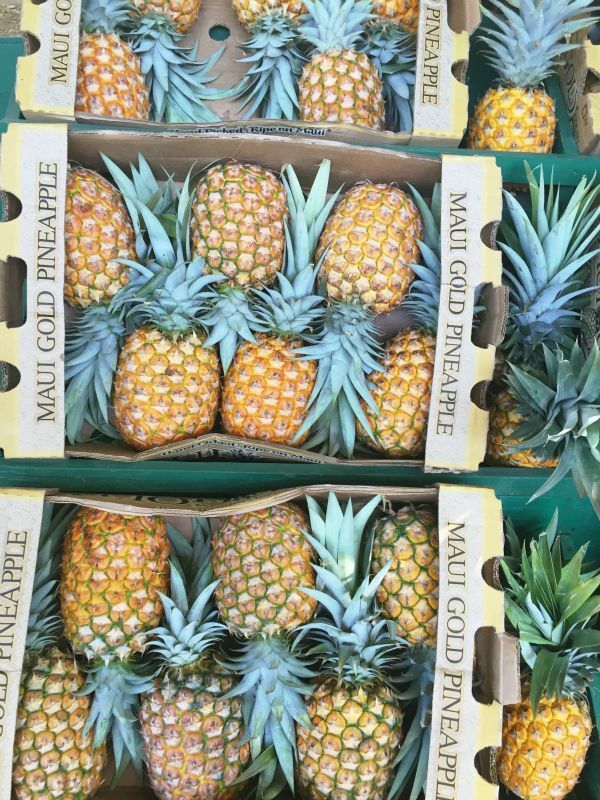 They have a location in Kahului right near the airport which is the perfect way to get in a tropical mood. Try it local's style with condensed milk drizzled on top. 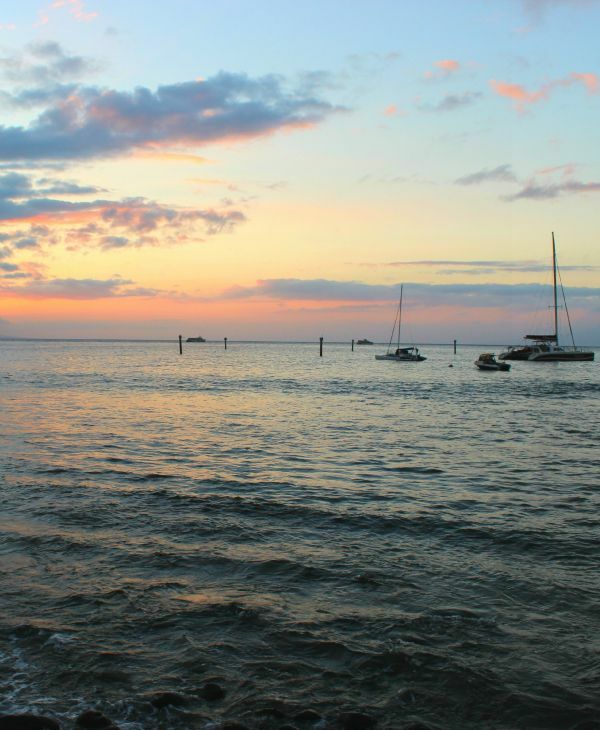 Best Place to Watch a Sunset: Kyle & I grabbed mai tais & pina coladas at famous Kimo's in Lahaina and it couldn't have been a more perfect location. Combine those epic waterfront views with live music & tasty drinks and you're in for a beautiful sunset. Best Activity: Driving the Road to Hana. This 20 mile road has 600 crazy turns and includes crazy one way bridges and steep cliffs. While it may not be for those afraid of heights or the easily carsick, you're rewarded with beautiful sights and lush scenery. We opted to take a tour this time which was great because we had someone else navigating the roads while we soaked up the scenes. I only regret we weren't able to stay longer to do some hiking. Best Dinner Splurge: One of my only regrets for this trip is that we didn't make it to Mama's Fish House in Paia. Nearly everyone recommended it and we just ran out of time. I think on my next trip I'd try to find in airbnb in this surf town- it had so much charm! The other incredibly exciting part of this trip? Getting engaged! 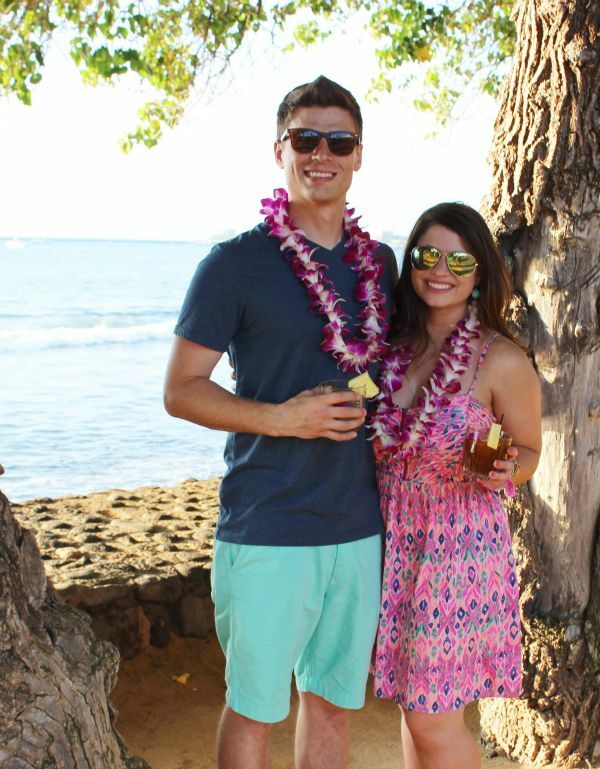 Hawaii has always been a special place to me and saying "yes" to my now fiancé made it even sweeter. I can safely say it was the best vacation ever! 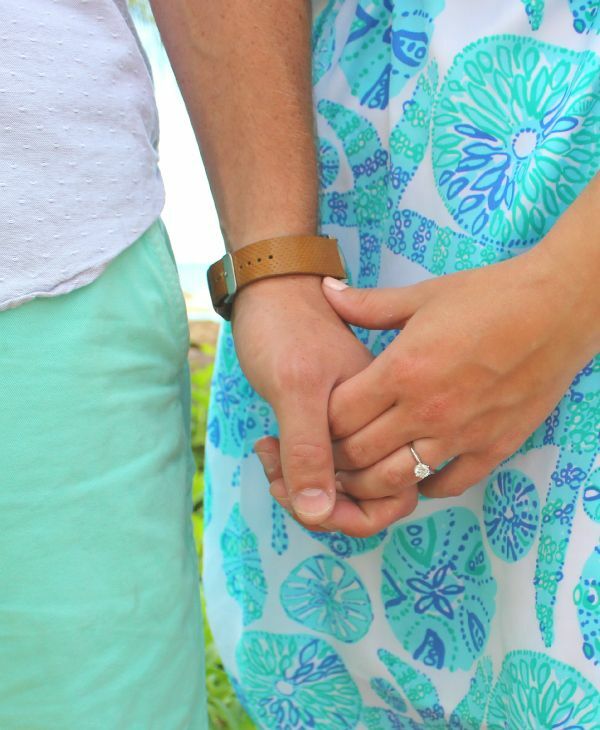 Stop by the blog later this week to read our enagement story! I'm on cloud nine! Hawaii looks like such a magical paradise. It's been on my to-travel list for as long as I can remember. OMG Congrats on getting engaged! That's so fantastic. I am SO happy for you. Hawaii looks amazing. I've always wanted to travel there! And what a beautiful memory to get engaged there! Is there going to be a LPF plans a wedding feature now?? Here's hoping!